You'll be staying at a mountain lodge, set upon a hill with views of distant snow-clad peaks all around. The rooftop library and lounge area is perfect for a few hours of reading or enjoying the company of your friends or family. 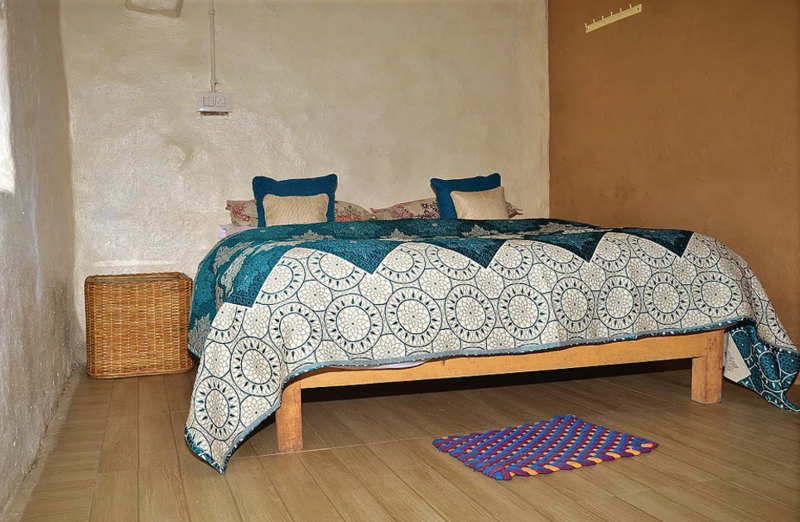 You'll stay in a traditional Pahadi-style room with an attached modern washroom. 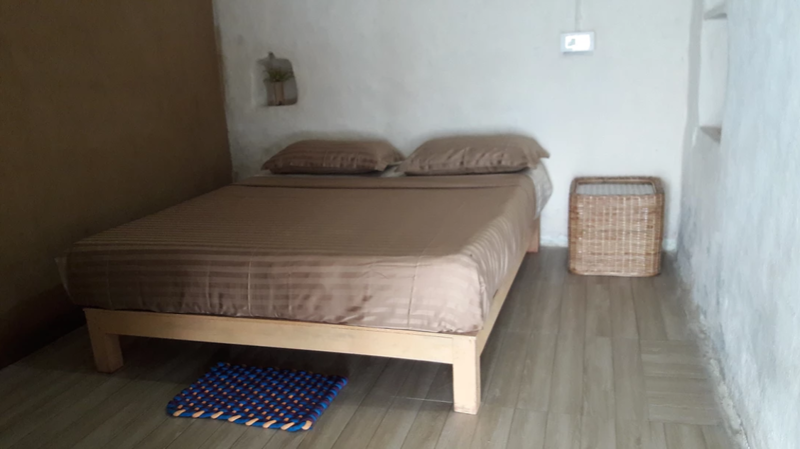 The room is simple, with a double bed and a room heater. There's also a common patio and seating area outside. Check-in time at the Sari lodge is 17:00 hrs. It's the perfect time to arrive, settle in your rooms and enjoy views of the crimson sunset before dinner. You can take a short walk around the lodge, or head down to explore Sari village. Overnight in Pahadi rooms at the Sari lodge. Today, you can head out from the lodge and trek to Deoriatal. You can enquire about the route of the trek at the lodge or ask any of the friendly local natives. Walking up through green trails for a few hours, you'll get magnificent views of the mountain landscape. 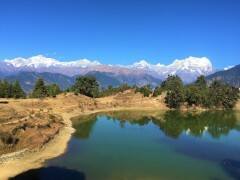 The mirror-like surface of the Deoriatal lake reflects the peaks around, and is very scenic in the morning when there is no breeze to ruffle the surface. Return to the lodge at your own convenience and spend the rest of the day at leisure. Overnight in Pahadi rooms at the Sari lodge. Today, you'll spend the day in Sari, where you will visit local houses and shops. The highlight of the day is the lunch, arranged at the home of a local Pahadi family. Take in scenes of the rural lifestyle and reflect on the slow pace of life, often lost in the chaos of urban noise. Return to the lodge by early evening and spend the rest of the day at leisure. Overnight in Pahadi rooms at the Sari lodge. 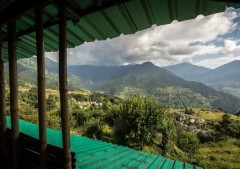 Today, you can head out from the lodge and trek to Chandrashila. You can enquire about the route of the trek at the lodge or ask any of the friendly local natives. After a short drive, the scenic trail leads you uphill through forests of oak and pine. 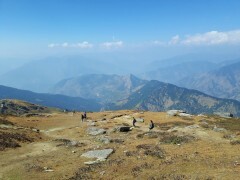 En route, you can stop by the temple of Tungnath, the highest temple of Lord Shiva. If you're up for it, you can carry onward to Chandrashila peak, or return to the lodge and spend the rest of the day at leisure. Overnight in Pahadi rooms at the Sari lodge. Overnight in Pahadi rooms at the Sari lodge. 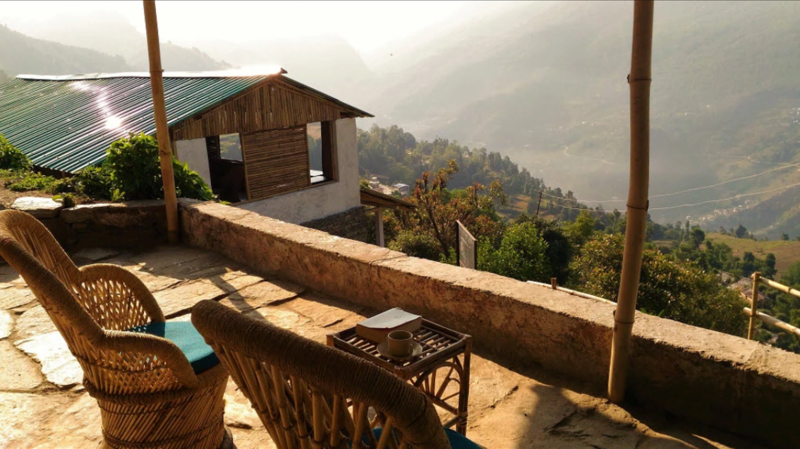 Arrive in Sari and check-in to your Pahadi rooms at the mountain lodge. 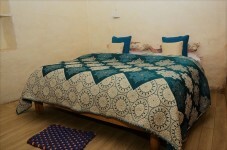 The rooms are equipped with an attached washroom with running hot water. 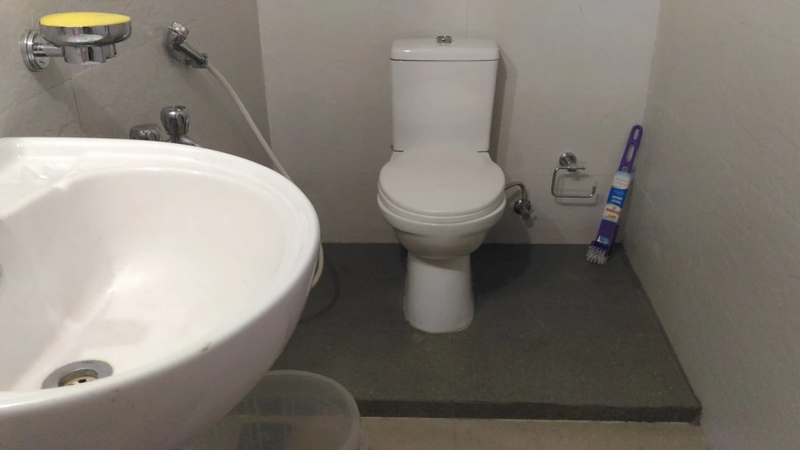 If running water is unavailable, buckets of water will be provided for daily needs. Today's meal plan includes dinner only. Relax at the lodge or trek to Deoriatal. You'll be accommodated in the same Pahadi rooms as yesterday. The rooms will include a queen bed with blankets and pillows, a room heater and wall shelves. Today's meal plan includes breakfast and dinner only. Explore the village of Sari. You'll be accommodated in the same Pahadi rooms as yesterday. Today's meal package includes breakfast, lunch and dinner. Lunch will be arranged at the home of a local Pahadi family. 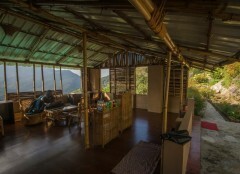 Relax at the lodge or trek to Chandrashila. Please note that services of guides or porters is not included in the package. You'll be accommodated in the same Pahadi rooms as yesterday. Today's meal package includes breakfast and dinner only.